Fewer investors are doing searches like this on Google. People are more interested in Kickstarter and other tech startups. The stock market may be at record highs, but you wouldn't know that from what Americans are typing into Google. Over the past eight years, people have dialed back on searches linked to traditional assets like stocks and bonds. Instead, they're going to Google (GOOGL) to find things tied to hot tech trends like seed funding and startups. In fact, there are more searches now for crowdfunding platform Kickstarter than "buy a stock," according to the Google Trends data researched by ConvergEx. This is yet another example of how soaring stock prices have not created a sense of euphoria about the market on Main Street. This is not like the dot-com bubble of the late 1990s. Average investors are still scarred by the 2000 market crash and 2008 credit crisis and Great Recession. Despite the fact that the S&P 500 has nearly tripled since March 2009, people seem to care less about stocks than they did pre-crisis. 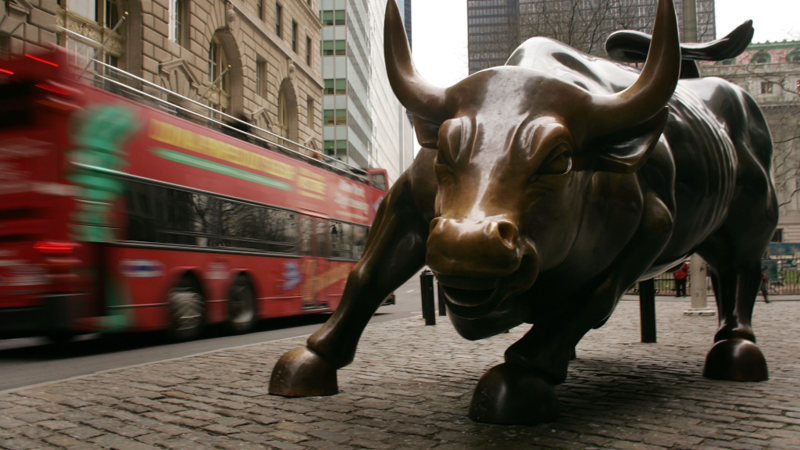 "It's the bull market that nobody loves," said Tony Scherrer, director of research at Smead Capital Management. Of course, that's not good news for the millions of Americans who have missed out on the bull market thus far. The fact that they're stuck on the sidelines will make planning for retirement and other long-term goals that much more difficult. Interest in stocks wanes ConvergEx said searches for "mutual fund" have tumbled 73% since January 2006, while queries for "stock tips" are off 68%. Other searches linked to traditional financial assets that have taken a hit include "small cap stock," "stock market," "E-Trade" and "financial market." And searches for exchange-traded funds, or ETFs, have suffered following the 2008 Lehman Brothers collapse. Even though many investors now prefer cheaper, passively-managed ETFs over mutual funds, searches for ETFs are down 56% between October 2008 and June 2014. Overall, ConvergEx's analysis shows that traditional financial asset searches are down an average of 5% over the past eight years and 38% since the financial crisis hit in the fall of 2008. It's the only category where there was a decline in number of searches during those timeframes. The waning online interest in stocks and bonds mirrors an exodus of cash out of mutual funds. Investors have yanked a whopping $611 billion from mutual funds since January 2007, according to fund flow stats compiled by the Investment Company Institute. The Mark Zuckerberg effect But even though people may be less interested in finding out how to get rich in the stock market, they appear to be looking for other ways to make money. Searches related to crowdfunding, a relatively new concept, have spiked 8,600% since January 2006. Searches tied to apps and startups have soared too. Scherrer said it's probably due to the success of Facebook (FB) and other startups that have quickly become tech juggernauts. "They've all seen Mark Zuckerberg and the WhatsApp founders get very wealthy in a short amount of time from a tech idea. Of course they have a lot of interest," said Scherrer. But he added that the odds of a person actually becoming wealthy by founding the next hot tech company are extremely low. Alternative investments, leisure activities jump Interestingly, people don't seem as interested in finding out about careers that require a lot of education. Law school, vocational school and business school queries are all down more than 40% over the last eight years. That's perhaps due to frustration over the job market and student debt. 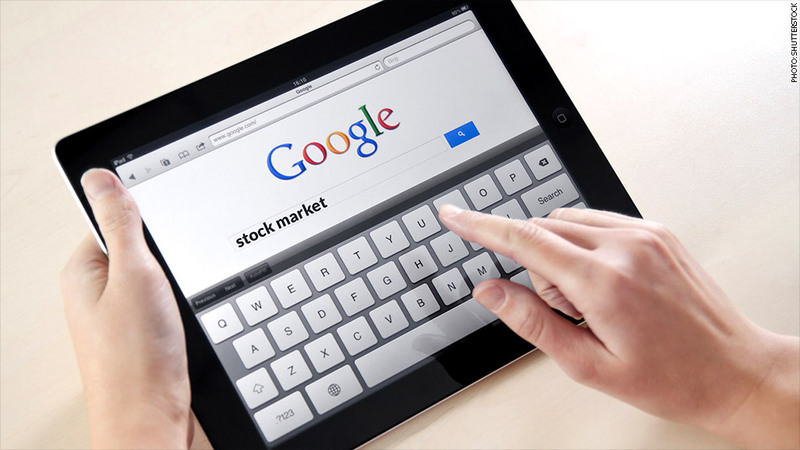 People are also showing increased demand for information about non-traditional assets, calling up Google to research smart beta, angel investing, alternative ETFs and alternative mutual funds. Scherrer said this reflects a broader trend of investors expressing interest in new ways to generate returns while minimizing risk. But after scouring the latest Google search data, there are reasons to be encouraged. Americans are increasingly researching information about leisure activities like resorts, theme parks and stadium tickets. They're also doing Google searches about major life changes such as buying a car, having a baby and purchasing a house. All of those things help stimulate the economy.